The U.S. Environmental Protection Agency’s enforcement actions this year in Hawai‘i resulted in closures of 19 large capacity cesspools (LCC) and over $500,000 in fines, seven of the cesspools were on the County of Hawai‘i. EPA regulations under the Safe Drinking Water Act required closure of all existing LCCs by April 5, 2005. The ban does not apply to individual cesspools connected to single-family homes. Cesspools collect and discharge untreated raw sewage into the ground, where disease-causing pathogens and harmful chemicals can contaminate groundwater, streams and the ocean. Groundwater provides 99% of all domestic water in Hawai‘i, where cesspools are used more widely than in any other state. Since EPA banned LCCs in 2005, over 3,400 large-capacity cesspools have been closed state-wide, many through voluntary compliance. The County of Hawai‘i agreed to close seven large capacity cesspools that serve the Pahala and Na‘alehu communities. The agreement requires the closure of two LCCs serving the Pahala community, three LCCs serving the Na‘alehu community, and two LCCs serving the Pahala Elderly Apartments. Combined, the seven cesspools serve about 280 households. The County will replace the cesspools with wastewater treatment systems approved by the Hawai‘i Department of Health. Aloha Petroleum, Ltd. paid a penalty of $57,500 for operation of an LCC at its Aloha Island Mart convenience store and gas station in Captain Cook on the Big Island. EPA found that Aloha Island Mart had operated the illegal LCC until 2014. Aloha Petroleum has since closed the non-compliant cesspool and replaced it with an approved wastewater system. U‘ilani Associates owns and operates the U‘ilani Plaza, a multi-unit commercial building in Kamuela. The company paid a $6,000 fine and replaced the cesspool with a Hawai‘i Department of Health approved wastewater system. Maui Varieties Investments, Inc., which owns two Big Island hardware stores and a commercial property, is closing four LCCs at its properties in Na‘alehu, Kamuela and Hilo and paid a $134,000 penalty. Matheson Tri-Gas facility, a commercial gas supply company in Campbell Industrial Park, Kapolei, O‘ahu closed two LCCs and converted to a septic system. The company agreed to pay a civil penalty of $88,374 and to spend an estimated $50,000 on a supplemental environmental project to close an on-site small-capacity cesspool. Matheson completed its work and converted to a septic system at the end of 2017. Fileminders of Hawai‘i, LLC, which operated a prohibited cesspool in Kapolei, and Hawai‘i MMGD, the company’s owner, were assessed a civil penalty of $122,000. In June, the cesspool was closed and the company installed an individual wastewater system. The U.S. Navy paid a civil penalty of $94,200 and closed nine LCCs at Joint Base Pearl Harbor-Hickam. The Navy had closed six cesspools in 2012, but had failed to close the remaining three in a timely manner. The three remaining cesspools served an estimated 160 people at three separate facilities. The Navy has since closed the non-compliant cesspools. For more information on the large-capacity cesspool ban and definition of a large-capacity cesspool, click here. Today the U.S. Environmental Protection Agency awarded $100,000 to Oceanit Laboratories, Inc., located in Honolulu, to develop a nontoxic coating for use in water pipeline repair. The company is one of 15 small businesses nationwide receiving a total of $1.6 million to develop technologies that will help protect human health and the environment. Oceanit Laboratories received the funding to develop a corrosion-resistant, nontoxic coating to protect the interior of aging pipelines. The application process for the coating will allow heavily corroded pipes to be retrofitted and refurbished in place. EPA’s Small Business Innovation Research (SBIR) funding boosts local economies by creating jobs and promoting collaborations among small businesses through product testing and research. The funding also supports technologies aimed at creating cleaner manufacturing materials and better infrastructure in communities. Companies compete for SBIR Phase I awards of up to $100,000 by submitting research that addresses key environmental issues. After receiving a Phase I award, companies are eligible to compete for Phase II awards of $300,000 to further develop and commercialize the technology. EPA is one of 11 federal agencies that participate in the SBIR Program established by the Small Business Innovation Development Act of 1982. For more information on EPA’s SBIR Phase I recipients, visit https://go.usa.gov/xRHhV. Learn more about EPA’s SBIR program at www.epa.gov/sbir. In 2016, EPA found three cesspools during inspections at the Naalehu and Kamuela Housemart Ace Hardware stores, owned by Maui Varieties Investments, Inc. (MVI). MVI also voluntarily disclosed a fourth LCC at a separate commercial property that houses a farm supply store in Hilo. MVI will be closing the two LCCs serving the Naalehu store and neighboring buildings and replacing the LCCs with wastewater treatment systems approved by the Hawaii Department of Health. The company will be closing the LCC at the Kamuela store and connecting it to a private sewer system. 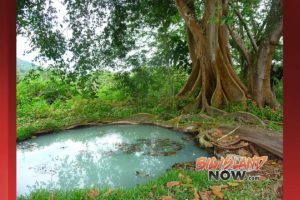 Finally, MVI will close the LCC at the commercial property in Hilo and connect it to the County of Hawaii’s sewer system. MVI will also pay a civil penalty of $134,000. An LCC is a cesspool that serves multiple residential dwellings or a commercial facility with the capacity to serve 20 or more people per day. Cesspools collect and discharge waterborne pollutants like untreated raw sewage into the ground, where disease-causing pathogens can contaminate groundwater, streams and the ocean. LCCs were banned under the federal Safe Drinking Water Act in April 2005. Cesspools are used more widely in Hawaii than in any other state, despite the fact that 95 percent of all drinking water in Hawaii comes from groundwater sources. Since the federal LCC ban took effect in 2005, over 3,400 large-capacity cesspools have been closed state-wide, many through voluntary compliance. Yesterday, the U.S. Environmental Protection Agency announced an agreement with Matheson Tri-Gas to close three cesspools at its Kapolei facility on Oahu. In May 2016, EPA inspected the Matheson Tri-Gas facility, a commercial gas supply company in the Campbell Industrial Park, and found two large-capacity cesspools (LCCs) in use. EPA regulations under the Safe Drinking Water Act required closure of all existing LCCs by April 5, 2005. Matheson, which acquired the facility in 2015, will close the two LCCs and convert to a septic system. The company will pay a civil penalty of $88,374 for violations of the Safe Drinking Water Act and spend $50,000 on a supplemental environmental project to close an on-site small-capacity cesspool. Matheson expects to complete the closure of all three cesspools and convert to a septic system by the end of 2017. Cesspools collect and discharge untreated raw sewage into the ground, where disease-causing pathogens and harmful chemicals can contaminate groundwater, streams and the ocean. Groundwater provides 99 percent of all domestic water in Hawaii, where cesspools are used more widely than in any other state. Since EPA banned LCCs in 2005, over 3,000 large-capacity cesspools have been closed state-wide, many through voluntary compliance. The ban does not apply to individual cesspools connected to single-family homes. Today, the U.S. Environmental Protection Agency announced that the Honolulu Authority for Rapid Transportation (HART) will receive a total of $900,000 in federal grant funds for brownfield site revitalization efforts. These grants are part of the $56.8 million awarded nationally to 172 recipients to assess and clean up historically contaminated properties, also known as brownfields, to help local governments redevelop vacant and unused properties, transforming communities and local economies. The Honolulu Authority for Rapid Transportation (HART) will receive two EPA Brownfield grants to assess and clean up contaminated properties in Oahu. Both grants support development of the future Honolulu High-Capacity Transit Corridor Project. EPA’s $300,000 Brownfield Assessment grant will focus on properties along the City Center section of the transit corridor. This grant-funded effort aligns with previous EPA funding awards that support transit-oriented redevelopment efforts along the transit line. HART will use the second $600,000 EPA grant to remove soil contaminated with arsenic and metals from three properties, which will be redeveloped into a rail station known as the Iwilei Station. Revitalization of the brownfield properties along the Honolulu High-Capacity Transit Corridor Project will support sustainable, compact and mixed-use development that encourages higher densities and energy conservation, as well as promoting the use of transit, walking and cycling. These funds will provide communities with resources necessary to determine the extent of site contamination, remove environmental uncertainties and clean up contaminated properties where needed. Studies have shown that residential property values near brownfields sites that are cleaned up increased between 5 and 15.2% within a 1.24-mile radius of that site. A study analyzing data near 48 brownfield sites shows that an estimated $29 to $97 million in additional tax revenue was generated for local governments in a single year after cleanup. This is two to seven times more than the $12.4 million EPA contributed to those brownfields. As of May 2017, more than 124,759 jobs and $24 billion of public and private funding has been leveraged as a result of assessment grants and other EPA Brownfields grants. On average, $16.11 was leveraged for each EPA Brownfields dollar and 8.5 jobs leveraged per $100,000 of EPA Brownfields funds expended on assessment, cleanup, and revolving loan fund cooperative agreements. The U.S. Environmental Protection Agency announced upcoming trainings for health care workers on how to recognize and treat pesticide poisonings. The classes will be conducted by the Migrant Clinicians Network, with co-sponsors Hawaii Department of Health, the Hawaii Chapter of the American College of Emergency Physicians and Hawaii Emergency Physicians Associated, with funding from the EPA. The trainings are accredited courses that will focus on key decision points in the diagnosis of pesticide exposures and will highlight the usefulness of the EPA publication, “Recognition and Management of Pesticide Poisoning, 6th edition”. Copies will be provided to all participants. Through interactive case studies, this training will illustrate effective recognition and treatment of patients who may have been exposed to pesticides. Today, the U.S. Environmental Protection Agency announced a settlement with Matson Terminals, Inc. over federal Clean Water Act violations relating to a September 2013 molasses spill into Honolulu Harbor. Matson has agreed to pay a civil penalty of $725,000. From September 8 to 10, 2013, Matson spilled approximately 233,000 gallons of sugarcane molasses into Honolulu Harbor during ship-loading activities. The spill occurred from a section of pipe that the Hawaii Department of Transportation found was leaking in 2012, and reported to Matson. The molasses discharge killed approximately 25,000 fish in the harbor and damaged coral reefs in the area. Matson no longer ships molasses from Honolulu Harbor. Today’s civil action by EPA follows a January 2015 criminal action taken by the U.S. Attorney’s Office against Matson, in which Matson paid a $400,000 fine plus restitution of $600,000 after pleading guilty to criminal charges of unlawfully discharging molasses into Honolulu Harbor. Under the terms of the plea agreement, the restitution was divided equally between the Waikiki Aquarium to support coral reef programs and invasive algae cleanups and Sustainable Coastlines Hawaii to inspire local communities to care for coastlines through beach cleanups. In 2015, Matson also reached an agreement with the State of Hawaii to cease transporting molasses through Honolulu Harbor, remove the molasses distribution system, pay for re-growing corals that were damaged or destroyed, and reimburse related cleanup costs. The U.S. Environmental Protection Agency has filed a complaint alleging that Syngenta Seeds, LLC violated numerous federal pesticide regulations meant to protect agricultural workers at its crop research farm in Kekaha, Kauai. EPA is seeking civil penalties of over $4.8 million for the violations. On January 20, 2016, 19 workers entered a Syngenta field recently sprayed with a restricted use organophosphate insecticide. Ten of these workers were taken to a nearby hospital for medical treatment. Restricted use pesticides are not available to the general public because of their high toxicity, potential for harm and impact on the environment. The company named in the complaint does business as Syngenta Hawaii, LLC., a subsidiary of Syngenta AG, a global enterprise that produces chemicals and seeds. The EPA complaint states that Syngenta misused the pesticide “Lorsban Advanced,” and it failed in its duties to adequately implement the Federal Insecticide, Fungicide, and Rodenticide Act’s Worker Protection Standard. Specifically, EPA alleges that Syngenta failed to notify its workers to avoid fields recently treated with pesticides. The company then allowed or directed workers to enter the treated field before the required waiting period had passed, and without proper personal protective equipment. After the workers’ exposure, Syngenta failed to provide adequate decontamination supplies onsite and failed to provide prompt transportation for emergency medical attention. An inspector from the Hawaii Department of Agriculture was present at the Syngenta facility when the exposure incident occurred, prompting the State’s immediate investigation. In March, HDOA referred the matter to EPA for follow-up investigation and enforcement. In April, EPA inspectors conducted a series of inspections, which led to the complaint. The active ingredient in “Lorsban Advanced” is chlorpyrifos, which in small amounts may cause a runny nose, tears, sweating, or headache, nausea and dizziness. More serious exposures can cause vomiting, muscle twitching, tremors and weakness. Sometimes people develop diarrhea or blurred vision. In severe cases, exposure can lead to unconsciousness, loss of bladder and bowel control, convulsions, difficulty in breathing, and paralysis. Symptoms can appear within minutes and may last days or weeks. The U.S. Environmental Protection Agency today announced a settlement valued at more than $600,000 with Mid Pac Petroleum, LLC, resolving federal Clean Air Act violations at the company’s Kawaihae facility on the Island of Hawaii. EPA claimed that for more than a decade Mid Pac Petroleum failed to install required vapor pollution controls and comply with a volatile organic compound (VOC) pollution limit at its gasoline storage facility. Failure to limit these emissions led to the illegal discharge of about 20 tons of VOCs into the air each year from its gasoline loading equipment. Mid Pac Petroleum will now spend an estimated $432,000 to bring its facility into compliance with the law, and has agreed to pay a $200,000 civil penalty. Bulk gasoline terminals are large storage tank facilities where gasoline is pumped through a loading rack into tanker trucks for distribution to gasoline service stations. Vapors containing VOCs and hazardous air pollutants, including benzene, a known human carcinogen, can leak from storage tanks, pipes, and tanker trucks as they are loaded. The U.S. Environmental Protection Agency announced the successful conclusion of its case against James Pflueger for construction activities that damaged his former property and the beach and coral reefs at Pila’a on Kauai. The consent decree settling the Clean Water Act violations was closed after Pflueger stabilized and restored the slopes and streams. EPA initiated its case after Pflueger conducted extensive grading and construction at the 378-acre coastal site without obtaining necessary Clean Water Act permits. Those activities included excavating a hillside to expose a 40-foot vertical road cut, grading a coastal plateau, creating new access roads to the coast, and dumping dirt and rock into three perennial streams. As a result, massive discharges of sediment-laden stormwater flowed to the ocean at Pila’a Bay in November 2001. The settlement required Pflueger to build a wall to stabilize the road cut adjacent to the shoreline, remove dam material in streams, install erosion controls on roadways and trails, terrace slopes to slow runoff, use native plants to control erosion, and control invasive plants and animals on the property. He was also required to reconstruct natural rock-lined stream beds and reestablish native plants along the banks. The 2006 stormwater settlement was the largest for federal Clean Water Act violations at a single site, by a single landowner, in the United States. Pflueger paid $2 million in penalties to the State of Hawaii and the United States, and was expected to spend approximately $5.3 million to conduct the required restoration efforts. The State of Hawaii was a co-plaintiff in EPA’s case against Pflueger, and the settlement was joined by the Limu Coalition and Kilauea neighborhood organizations, which had also filed a lawsuit against Pflueger. EPA and local community organizations involved in the settlement conducted oversight inspections throughout a ten-year restoration effort that was slowed by funding obstacles and the necessity of adapting the restoration projects to changing field conditions. The U.S. Environmental Protection Agency (EPA) and the U.S. Department of Justice today announced a settlement with Par Hawaii Refining for alleged Clean Air Act violations at its Kapolei Refinery, in Kapolei, Hawaii, as part of a larger $425 million settlement covering six refineries. Par Hawaii will spend an estimated $47 million to install and operate pollution control equipment at the Kapolei Refinery, formerly owned by the Tesoro Corp. Under the settlement, Par Hawaii and subsidiaries of Tesoro Corp. will spend about $403 million to install and operate pollution control equipment at refineries in Alaska, California, Hawaii, North Dakota, Utah, and Washington State. Tesoro will also pay a civil penalty of $10.45 million, of which the United States will receive $8.05 million. Co-plaintiffs Alaska, Hawaii, and Washington State’s Northwest Clean Air Agency will split the remainder, receiving $1.3 million, $850,000, and $250,000, respectively. Tesoro will also spend about $12.2 million to fund projects that will improve public health in local communities previously impacted by pollution. Once implemented, the pollution controls required by the settlement will reduce annual emissions at the six refineries by an estimated 773 tons of sulfur dioxide, 407 tons of nitrogen oxides, 1,140 tons of volatile organic compounds, 27 tons of hazardous air pollutants, 20 tons of hydrogen sulfide and the equivalent of 47,034 tons of carbon dioxide. Tesoro Corp., is headquartered in San Antonio, Texas and its subsidiaries, Tesoro Alaska Company LLC, Tesoro Logistics L.P., and Tesoro Refining & Marketing Company LLC operate five of the refineries covered by this settlement. Par Pacific Holdings, Inc., formerly known as Par Petroleum Corp. and a parent corporation of Par Hawaii Refining, purchased the Kapolei, Hawaii refinery from Tesoro in 2013. The penalty is due 30 days after the consent decree is entered by the court. There will be a 30 day public comment period on the consent decree lodged today. Information on how to comment on the consent decree is available on the Department of Justice’s website. The U.S. Environmental Protection Agency today announced a settlement with Puna Geothermal Venture for Clean Air Act chemical safety violations at its geothermal energy plant in the Puna area of the Island of Hawaii. After an EPA inspection, the facility has now complied with the rules designed to minimize accidental chemical releases. The company has also agreed to pay a civil penalty of $76,500. EPA conducted a chemical facility inspection in August 2013 and found that PGV had failed to take necessary steps to prevent accidental releases of hydrogen sulfide. Specifically, the company had not tested and inspected its equipment with the frequency consistent with manufacturers’ recommendations, good engineering practices, and prior operating experience. Conduct periodic compliance audits of its accident prevention program and document that identified deficiencies have been corrected. Implement adequate written operating procedures that provide clear instructions for safely conducting activities. Ensure that the frequency of inspections and tests of equipment is consistent with manufacturers’ recommendations, good engineering practices, and prior operating experience. Analyze and report on a worst-case release scenario and estimate the population that would be affected by an accidental release of pentane. Today’s penalty action is taken under the federal Clean Air Act’s Section 112(r) General Duty Clause and Risk Management Program requirements. The General Duty Clause requires facilities to minimize the probability and consequences of accidental chemical releases to better protect workers, communities and the environment. The Risk Management Program requires development of a Risk Management Plan that includes: a hazard assessment detailing the potential effects of an accidental release; a chemical accident prevention program that includes process operation, maintenance, and employee training measures; and an emergency response program that spells out procedures for informing the public and local response agencies should an accident occur. EPA’s August 2013 inspection was prompted by releases of hydrogen sulfide from the facility to the atmosphere in March and April 2013. The April 2013 release was caused by a pump failure, resulting in a leak of geothermal condensate (composed primarily of water with some contaminants, including hydrogen sulfide) for about 15 minutes before PGV personnel were able to isolate and stop the leakage. The March 2013 release was attributed to the tripping of a breaker in the local power grid, and PGV’s emergency shutdown and hydrogen sulfide abatement systems functioned as designed. In addition to EPA’s oversight, including the Risk Management Plan updates that PGV must submit, the air permit issued to the facility by the State of Hawaii’s Department of Health requires PGV to submit regular air quality monitoring reports to the state. The U.S. Environmental Protection Agency has awarded an environmental education grant of $80,000 to the Pacific American Foundation located in Kaneohe, Hawaii. The goal of the program, Wisdom of the Watershed, is to improve environmental science education by increasing the interest of Hawaii’s youth in science, technology, engineering, and math disciplines through culturally-relevant curriculum and meaningful outdoor watershed educational experiences. The program will help sixth through twelfth grade students explore and compare three different watersheds in Hawaii with different land management practices. Students will take field trips partnered with research scientists and will measure water quality in the watersheds using scientific instrumentation. The microbial and sediment environments will also be sampled. Students will analyze the collected data and engage in service learning projects to improve environmental quality throughout the watersheds. EPA’s Environmental Education Local Grants Program supports environmental education projects that increase the public’s awareness and provide them with the skills to take responsible actions to protect the environment. The EPA’s Pacific Southwest Regional Office received over 80 applications this year, and the Pacific American Foundation project is one of seven projects in the Pacific Southwest Region that will receive an environmental education grant. The U.S. Environmental Protection Agency recently awarded over $30 million as part of a yearly program that provides grants to Guam, the Commonwealth of Northern Mariana Islands and American Samoa for use in continuing environmental protection work and for improvements to drinking water and wastewater infrastructure. Guam EPA will be receiving $3.2 million, CNMI DEQ will be receiving $1.7 million, and the American Samoa EPA $1.8 million to support the operations of each environmental agency. The work done by the agencies include inspections, monitoring the safety of beaches and drinking water, permit writing, enforcement and other facets of their environmental protection programs. Additionally, EPA provides drinking water and wastewater construction grants to improve the water supplies in each of the territories. The Guam Waterworks Authority will be receiving $8.2 million, CNMI’s Commonwealth Utilities Corp. will be receiving $6.9 million, and the American Samoa Power Authority $8.3 million. Improvements to the drinking water system in all three territories, including improved chlorination in Guam, increased water storage in CNMI, and an ongoing extension of the central system in American Samoa to remote villages. EPA funding has contributed to the increased drinking water availability in Saipan, where 95% of the population now has access to 24-hour water (up from 75% in 2009). Improvements to the wastewater collection and treatment systems in all three territories, including rehabilitation of a treatment plant in Saipan, improvements to the collection infrastructure in Guam, and ongoing extension of sewer lines in American Samoa. EPA has funded the replacement of older wastewater pumps with newer energy efficient pumps and controls, saving the utilities hundreds of thousands of dollars in power bills in all three territories. The U.S. Environmental Protection Agency announces today it has selected the U.S. Postal Service (USPS) and Housing and Urban Development (HUD) as award winners, and the Hawai’i Volcanoes National Park with an honorable mention in the EPA’s Federal Green Challenge Program. Winner: USPS Honolulu Processing and Distribution Center: USPS Honolulu achieved a 70.7% recycling rate, increasing significantly by 400 tons in the last year. One of the keys to their success was the creation of a Green Team of finance managers, maintenance managers, operations specialists, and vehicle maintenance staff. The Green Team set a standard for recycling at the Honolulu plant and communicated that to the more than 160 Postmasters in Hawai’i. There were significant cost reductions of $65k as a result of decrease trash disposal. Winner: HUD Honolulu: HUD Honolulu created a tracking tool to analyze the transportation methods of the staff. The tool not only allowed HUD to establish detailed transportation metrics, but also encouraged more sustainable transportation choices on a person-by-person basis. They took many factors into account including staff point of origin, total miles to work, mode of transportation, and frequency of work-related travel. As a result, they exceeded their goal of decreasing commuting via car by 5%. Honorable Mention: Hawai’i Volcanoes National Park: In conjunction with the University of Hawai’i at Hilo, they developed an employee survey to ascertain energy knowledge, views, and habits. The students from the university analyzed the survey results and developed recommendations for educating the national park employees about energy conservation methods. As a result, informational signs and stickers were put up and energy meters were added to some equipment. Additionally, supervisors monitored employee activity and the energy manager tracked quantitative results through energy bills. · saved over $16.6 million by reducing waste, water and energy use. The Federal Green Challenge is a national effort to challenge EPA and other federal agencies to reduce the federal government’s environmental impact. Offices or facilities start their participation by selecting a minimum two of the six target areas—waste, electronics, purchasing, energy, water, or transportation—and commit to improve by at least 5% per year in their selected target areas. U.S. Environmental Protection Agency recently awarded the Hawaii Department of Health a $10,946,000 million grant for the Clean Water State Revolving Fund and a $9,125,000 million grant for the Drinking Water State Revolving Fund for water pollution control and drinking water infrastructure projects. The Department of Health will use the funds to provide low-cost loans to the state’s counties for drinking water and wastewater infrastructure upgrades. In Hawaii, most of the infrastructure for wastewater treatment is along the coast and funding will assist in making improvements and adaptations to aging systems and those potentially impacted by rising sea levels from climate change. 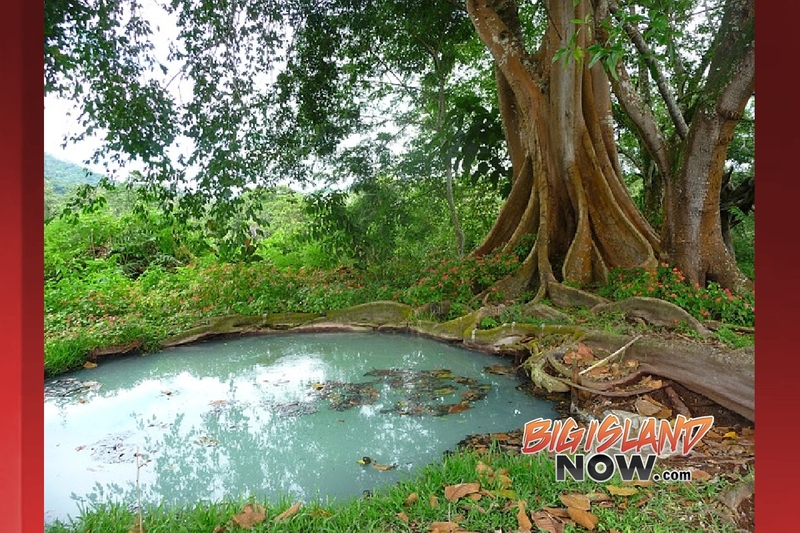 The EPA has awarded $282 million in federal funding for Hawaii’s Clean Water State Revolving Fund program from 1990 to the present. Every year, more funds become available as the principle, interest and fees are repaid to the program. Hawaii’s Clean Water State Revolving Fund reached $611 million last year, with a total of 74 wastewater treatment projects funded statewide totaling $509 million. The funds are used for a wide variety of water quality projects, including nonpoint source pollution control, watershed protection or restoration, improving water and energy efficiency, and traditional municipal wastewater treatment projects. The Hawaii Drinking Water State Revolving Fund totals $192 million and the Hawaii Department of Health has issued 45 loans totaling $124 million. Funds to the program also support projects such as capacity development, sanitary surveys, drinking water operator training and technical assistance. Forty years ago, when the federal Clean Water Act was made law, Congress charged a fledgling EPA with the goal of making the nation’s waters “fishable and swimmable.” Achieving this goal requires communities to make large investments in drinking water and wastewater infrastructure. The state revolving funds are EPA’s primary tools for helping communities meet their continuing and significant water infrastructure needs. Each state maintains revolving loan fund programs, capitalized by the EPA, to provide low cost financing for water quality infrastructure projects. The U.S. Environmental Protection Agency initiated an enforcement action under the Safe Drinking Water Act against Christian Marston and Tahiti Nui Enterprises, Inc. LLC for failing to close three large capacity cesspools in Hanalei, Kauai. EPA has inspected Marston’s property, including the Tahiti Nui Restaurant and Cocktail Bar, multiple times and notified Marston that his establishment was in violation of the federal regulations. In 2006, the owner acknowledged the operation of large capacity cesspools and retained the services of a professional engineer to design a state-approved individual wastewater system to replace the cesspools. However, in 2010 EPA determined that Marston had failed to comply with the requirements to close and convert the three cesspools serving his property. As a result of the continued noncompliance, EPA is now seeking penalties of up to $177,500, the amount authorized under the Safe Drinking Water Act, in addition to prompt closure and replacement of the cesspools with an approved wastewater system. The facility is located in a “priority watershed,” as designated by the State of Hawaii and EPA, where use of the large capacity cesspools poses a significant risk to underground sources of drinking water and nearby surface waters. A large capacity cesspool discharges untreated sewage from multiple dwellings, or a non-residential location that serves 20 or more people per day. EPA regulations prohibited new large capacity cesspool construction after April 2000 and required closure of existing large cesspools as of April 2005. The regulations do not apply to single-family homes connected to their own individual cesspools or to non-residential cesspools that do not have the capacity to serve 20 or more people. Cesspools, which are used more widely in Hawaii than any other state, discharge raw sewage into the ground, where disease-causing pathogens and other contaminants can pollute groundwater, streams and the ocean. Large capacity cesspools are used by restaurants, hotels, office complexes, and multiple dwellings, such as duplexes, apartments and condominiums, to dispose their sanitary waste. A comprehensive settlement has been reached with the City and County of Honolulu that will address Clean Water Act compliance at Honolulu’s wastewater collection and treatment systems, the Justice Department, U.S. Environmental Protection Agency (EPA), Hawaii Attorney General’s Office, Hawaii Department of Health, and three environmental groups announced today. The settlement which also resolves lawsuits brought by the Sierra Club, Hawaii’s Thousand Friends and Our Children’s Earth Foundation, includes a comprehensive compliance schedule for the city to upgrade its wastewater collection system by June 2020. Under the settlement, the Honouliuli wastewater treatment plant will need to be upgraded to secondary treatment by 2024. The Sand Island plant will need to be upgraded by 2035, but could be extended to 2038 based on a showing of economic hardship. Highway 130 Updates… and Another Meeting? This is kind of odd news to me, they are having more KPAG meetings for the Kea`au – Pahoa Highway 130 Project. As one of the members of the group, I got the following emailed to me, which this seems like a very strange way to announce that meetings have started up again. at the Keaau Elementary School. Our agenda will cover discussions on the Environmental Assessment (EA). A status update can be found in this newsletter. On June 10 and 19, 2009, SSFM staff visited residents along the Keaau-Pahoa Road to seek permission prior to field staff entering or crossing their property to conduct fieldwork necessary for the EA. Flyers that outlined the fieldwork to be conducted, were left with the residents and left on the doorsteps of those who were not available. Completion of this field work is expected by September 2009. In response to a question posed at a KPAG meeting, HDOT determined that the estimated cost for the installation of the traffic signal at Shower Drive is approximately $450,000. The new traffic signal is part of the Keaau-Pahoa Road Shoulder Lane Conversion project which will provide a permanent second northbound lane for motorists and a shoulder for bicyclists and pedestrians, and improvements to the mauka shoulder to be used as a shoulder lane during afternoon peak traffic hours. Construction is expected to begin in Fall 2010. SSFM International is responsible for producing the EA document and for designing the roadway to a preliminary design level that can be studied in the EA. These efforts are both underway and on schedule. Roger Dyar, the traffic consultant, is currently performing the traffic analysis for this project. This includes computer modeling of the traffic in the corridor to determine the functioning of intersection designs. He will also model travel speeds and evaluate the performance of the roadway along Keaau-Pahoa Road. He is modeling traffic under all project alternatives, for both AM and PM peak hours, and for different years of analysis. Addressing safety and existing deficiencies are an important part of his work. His traffic data will influence the design of the roadway, and it is also needed to model noise and air impacts. the end of the summer. BD Neal and Associates is studying the air quality effects of the project, and will be performing modeling of air quality using computer models approved by the EPA and the Federal Highway Administration. The analysis will determine if future air pollution would exceed federal or state standards. The modeling will be performed once traffic data completed. DL Adams and Associates is evaluating noise impacts from the project. They will be taking measurements of existing noise levels and predicting future noise levels using a computer model created by the Federal Highway Administration. This analysis will be performed once traffic data is completed. Geometrician Associates has performed a field study of botanical resources in the corridor, to document if any threatened or endangered plant species are present in the corridor. Their fieldwork has been completed and their final report will be available shortly. Rana Environmental Consulting has been performing fieldwork in the corridor on fauna to determine if the project will have an impact on threatened or endangered species, particularly birds or bats. Fieldwork has been underway and a report will be available within the next few weeks. AECOS has been looking at aquatic resources and water quality associated with surface waters found in the corridor. They performed fieldwork earlier this summer and documented their findings of resources in a draft report that is currently being edited to final form. CMF Engineers is studying drainage in the corridor and helping our designers ensure that the project will improve drainage problems and not create new drainage problems in the corridor. Their findings will also document the impacts of the project on floodplains. The hydrology report is scheduled for completion in August. Cultural Surveys Hawaii will be performing fieldwork to search for archaeological resources in the study area. They are also conducting a Cultural Impact Assessment of the corridor to document the anticipated effects of this project on traditional cultural practices. Background data has been collected for both efforts and future work will involve field visits and interviews with local residents. The archeology study will be completed by the end of the summer. The Cultural Impact Study will take several weeks longer. MK Engineers is assisting the project designers in determining the effects of the project on utility relocations. They are also involved in estimating the electrical construction costs of the project. They will be in contact with utility companies to confirm the potential impacts to utility lines within the corridor. The utility relocations analysis will begin when preliminary design has defined the anticipated limits of construction and right-of-way. This is expected to be completed by the end of August, with the utility relocations analysis completed in mid-September.